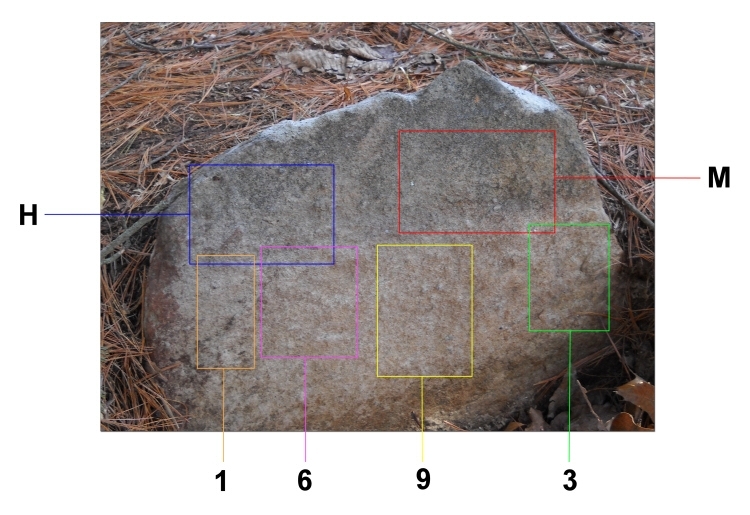 In the past The Matteson Historical Congress Of America Inc. (MHCOA) has suggested that Henry was buried in the Vaughn Lot, East Greenwich Historical Cemetery #07 (EG007), going as far as to erect a memorial stone there in 1995. We do not know how they came to that conclusion as we have never found any evidence to suggest that Henry, or any Mattesons at all were ever buried there. Despite my requests, the MHCOA has never been able to provide any evidence that might help explain their reasons for placing a memorial stone for Henry there. It is doubtful that this cemetery is located on the same ten acres of land that Hannah sold to to George Vaughn after Henry's death. The original land grantee of the land on which the Vaughn Lot is located was John Soule. Christopher Vaughn was the owner as given in the 1712/1716 land surveys. No records have ever been found showing that parcel of land as ever having been owned by Henry Matteson or George Vaughn. Additionally, there was no mention of a dwelling house being located on the ten acres of land that Hannah sold to George Vaughn so it is likely that Henry and his family were living elsewhere at the time of his death. While I think it is wonderful that the MHCOA chose to honor our earliest American ancestor with a memorial stone, sadly, by placing it in a cemetery on land that no Mattesons have ever owned and in a cemetery where no Mattesons are buried they have "poisoned the well" for anyone seeking to find Henry's true final resting place. The confusion caused by the memorial continues on to this day. This is not the first time that the MHCOA has misidentified the location of Henry Matteson's burial site. Previously the MHCOA believed that Henry's burial site and home were located roughly six miles west of the Vaughn Lot. This is detailed in a lengthy article by Mary Stafford in their own newsletter, "The Mattesonian", Vol III No.6-1 (PDF). In it, it describes how they were taken to view the "almost obliterated cemetery" where Henry was believed to be buried as well as the foundations of what once was Henry's home.1 Using the descriptions of these locations found in the article it is easy to locate these areas today. The cemetery where Henry was believed to be buried at that time was none other than the Philip Matteson Lot, West Greenwich Historical Cemetery #82 (WG082). This is the only cemetery in the area near the supposed homestead that could have been considered to be and described as obliterated. The cemetery now looks much better after the commercial devlopment of the area was completed. And strangely what they believed to be the foundations of Henry's home are in fact not home foundations at all, but yet another cemetery, the Andrews Lot (WG025) with the Thomas Matteson Lot (WG065) located directly behind. 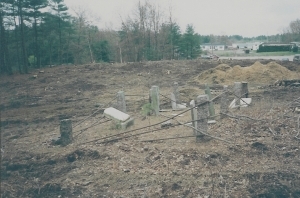 The Andrews lot no longer contains any burials as they were all removed to Woodland Cemetery (CY066) in Coventry in the late 1800's. Perhaps this could explain how it was mistaken by them for home foundations. Or are we to believe that the Andrews family would have buried their dead in Henry's cellar? Having grown up on Shippeetown Road, I know of several cemeteries in the area but again, I have never seen anything that would indicate that Henry's home or grave is located there. The MHCOA apparently has a long history of finding the locations where Henry is NOT buried! We may never fully understand their reasons for placing the memorial stone in the Vaughn Lot but it is clearly not Henry's final resting place. 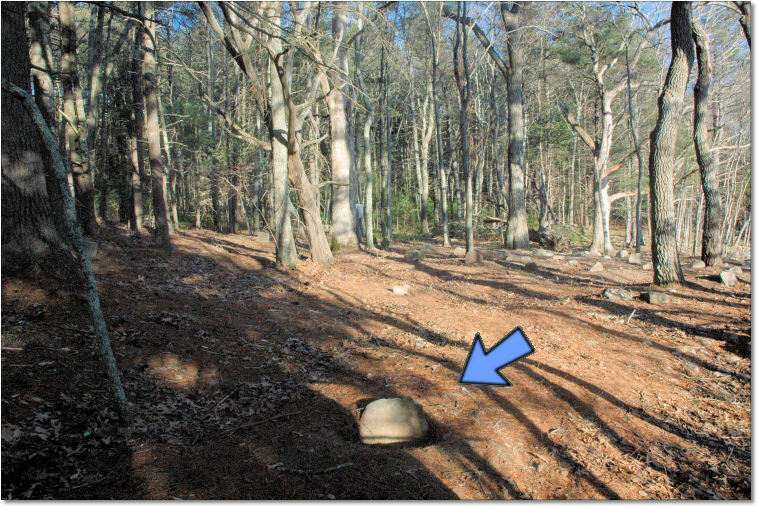 Based upon their past record of identifying all the wrong locations, people would be best advised to take any claims regarding Henry's burial site coming from them with a grain of salt. If you eliminate the locations where no cemetery exists and the cemeteries where no Mattesons are buried this leaves only the Matteson Family Cemetery location (WG076), which agrees with our findings of this being the actual location where Henry Matteson the immigrant is buried. 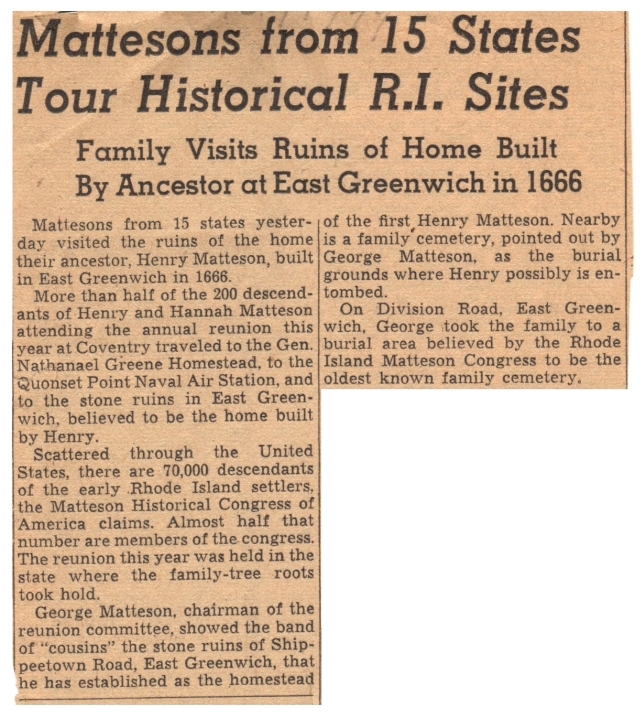 Henry Matteson's gravesite is located in West Greenwich, Rhode Island. within the Big River Management Area in West Greenwich Historical Cemetery #76 (WG076) on land we believe may have been owned at one time by him or his son Capt. Henry. This cemetery is the oldest identified Matteson cemetery in the state and likely the first Matteson cemetery to exist anywhere in this country. 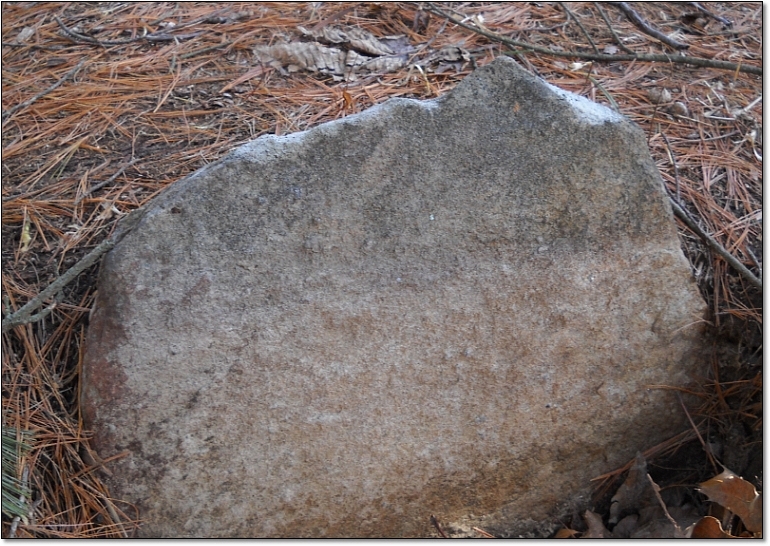 After over 300 years of weathering Henry's gravestone is severely worn and eroded. On most days it is only possible to discern a small portion of the original inscriptions. His grave is located far to the front of the cemetery indicating that his is most likely the earliest burial within the cemetery. It stands alone as one would expect to find it as it is well known that Henry's wife Hannah remarried Charles Hazelton shortly after Henry's death. Unknown Author. Undated newspaper cliping. W. C. Macindoe. "Where's Henry? Analysis" The Mattesonian (2015):1-7. More recently, W. C. Macindoe has taken to calling the Weaver Family Lot (EG076) the "Henry Matteson Cemetery". The only evidence to support his claim is a composite map of East Greenwich by the East Greenwich Tercentenary Commission based upon earlier land surveys of 1712 & 1716 in which Henry Matteson's name appears, Mattesons are also found elsewhere on this same map. 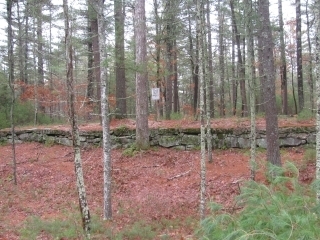 According to the (RIHCC), a state audit report from the Public Archaeology Laboratory, Inc (PAL) has documented that this land was owned by the Weaver family from 1762 to 1870 when it was sold by William C. Weaver to Pardon V. Shippee family, at which time, the first mention of the "Burying Ground" was in the deed. This land could have once belonged to Henry Jr. (1670-1752) or to some other Matteson descenadant going by the name of Henry. Henry the immigrant would have died 20+ years earlier, and Henry's sons Henry and Thomas are both buried in (WG076) and not any where near the Weaver Family Lot.